AdamJ had the most liked content! Go karting, Jet Sking, Motox, Cars.... Basically anything with an engine!! I don’t recall the manufacturer of mine. Luckily for me they didn’t cost me anything.... We were refurbishing a car dealership and they had specified this particular tile. We were half way through laying them and they had a change of management at the dealership and the new chap decided he would like ceramics, so I ended up with enough to do a couple of garages. I did however organise some for a colleague a couple of months ago. I used a flooring supplier in leicester called Garrad Waters. They were able to supply two or three different types. I’ll see if I still have the information. Dave, have you considered plastic interlocking floor tiles. We were fitting out a car dealership and had some left over, so I used them in my garage. They’re easy to lay and really robust once they’re down, plus I find them a bit warmer if im kneeling or sitting on the garage floor in the colder months. A friend of mine has just gone over his floor paint with some because he was fed up of having to re coat it. Is it the competition pack? Had my car serviced and MOT’d by Jon on Friday. Did a top job and at a time to suit me. Its nice to take your car somewhere where you can have a good chat to the guy that will actually be doing the work. 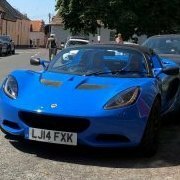 Jon’s always happy to talk anything Lotus. Would recommend if you’re in the Leicester area. Had service, brake fluid change and MOT by Jon this weekend. He did it on the Saturday morning to suit me, so I could avoid time out of work. Would highly recommend him and the service he provides. Clearly knows his stuff when it comes to anything Lotus. Hopefully if business continues to pick he can get his own place. Sounds like he's actively looking. 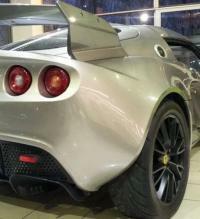 Would be good to have a Lotus sign up in Leicester again. I'll be giving them a try when I need a service unless anyone can suggest somewhere better?